The Sea Dragon, located at Wiston Gardens in Sydney’s Double Bay, was designed in 1936 by the eminent Australian architect Professor Leslie Wilkinson with Spanish Mission and Georgian influences. It was built for Dr H Sweetapple at a cost of 2792 pounds. Wilkinson designed this house along with its original neighbour to the south. 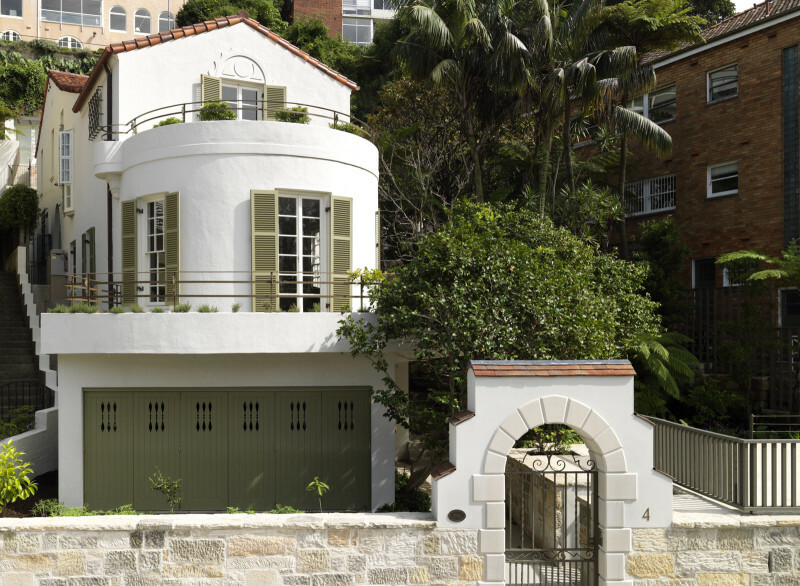 Both houses were celebrated in the late 30s as civilised models of compact domestic architecture for Sydney. The owners, who undertook this renovation, loved the house but felt they needed more space. 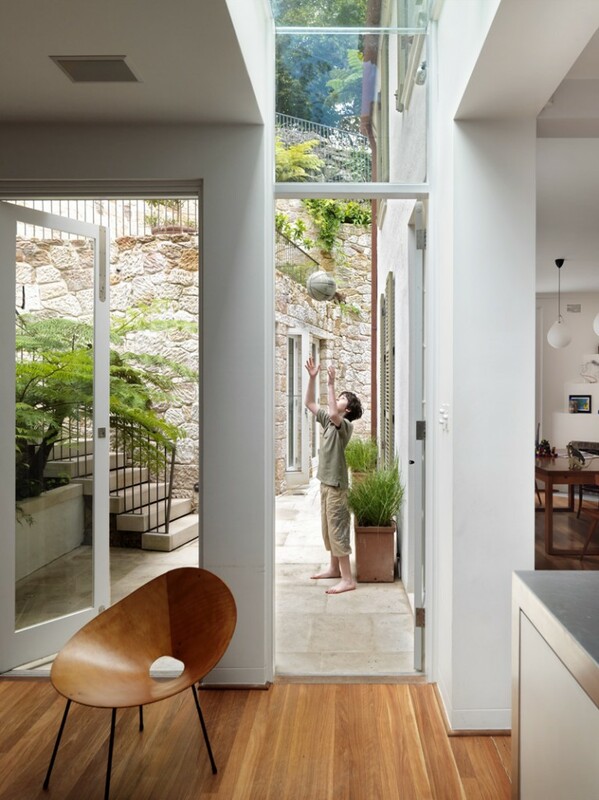 They engaged Luigi Rosselli Architects to find a way to sympathetically extend the accommodation and add new functions. Rosselli, highly regarded for his sympathetic design solutions, was clearly the perfect choice. A library, playroom, family room and pool-house with swimming pool were added in addition to a new garage, cellar and store. The additions have been generally constructed outside of the original house footprint, partially excavated in the steep rock face behind the house and partially underground behind the front garden retaining wall. 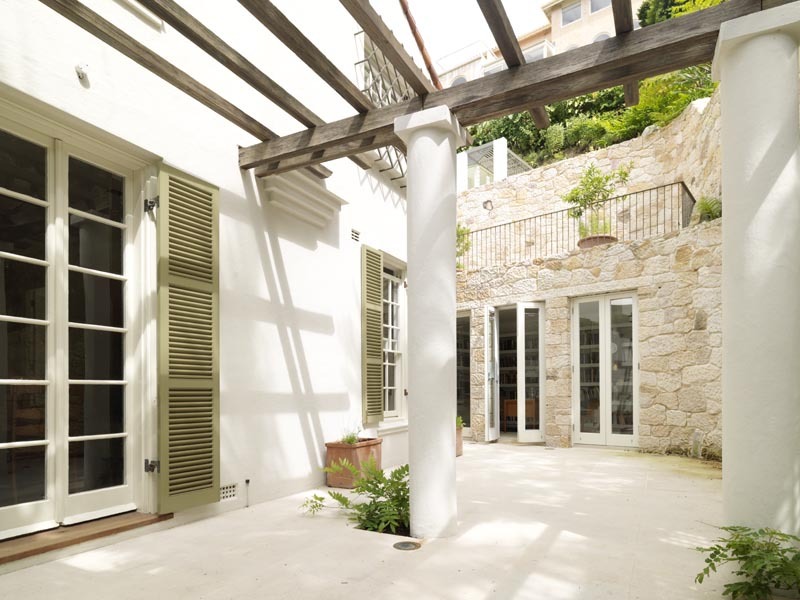 The existing house has been restored to its original splendor; the shutters repaired, the walls re-plastered, the polished concrete floors refreshed. The kitchen, bathrooms and electrical systems brought up to today’s standards. A missing feature of the original Wilkinson design, the entry gate, was built with details procured from some of his other residential projects. The old garage was too narrow for two cars so it was transformed into a playroom for the younger children, and connected to the rest of the house by excavating another flight of stairs under the main stairwell. 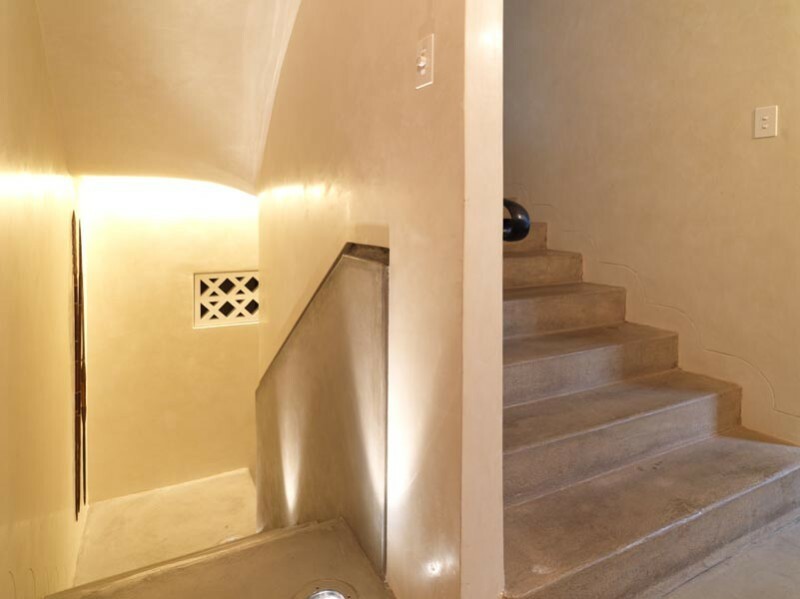 The original detail and fabric have been retained and conserved throughout, tallowwood and concrete floors uncovered and restored. Any changes appear subtle. 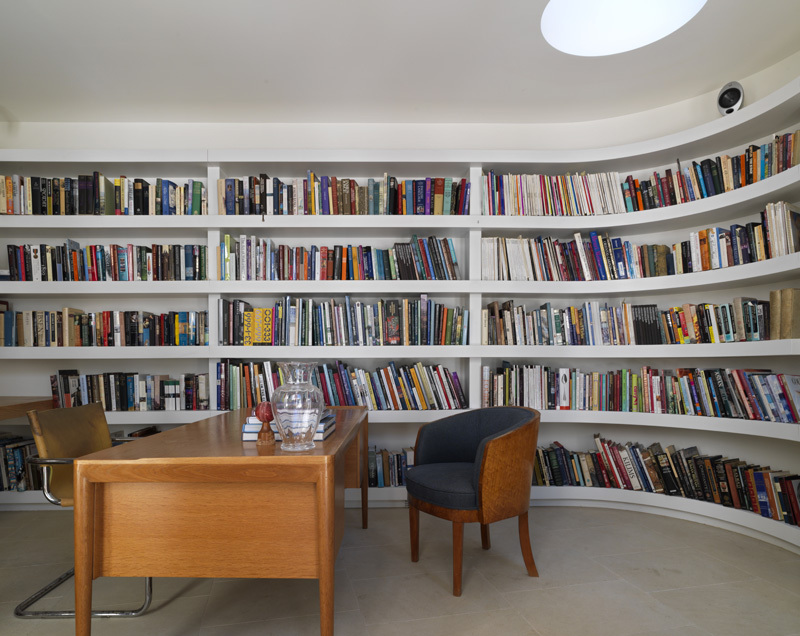 Windows have been unobtrusively altered, joinery rearranged and a skylight introduced to fill the house with light. The original service areas, designed for a resident cook/maid, have been adapted to operate for a modern family; the kitchen has been opened up and a family room added. The addition is connected to the old house by a glazed link in order to clearly delineate what is new and what is old. Crucial to Rossell’s design is the partial excavation and reworking of the cliff at the rear of the site. 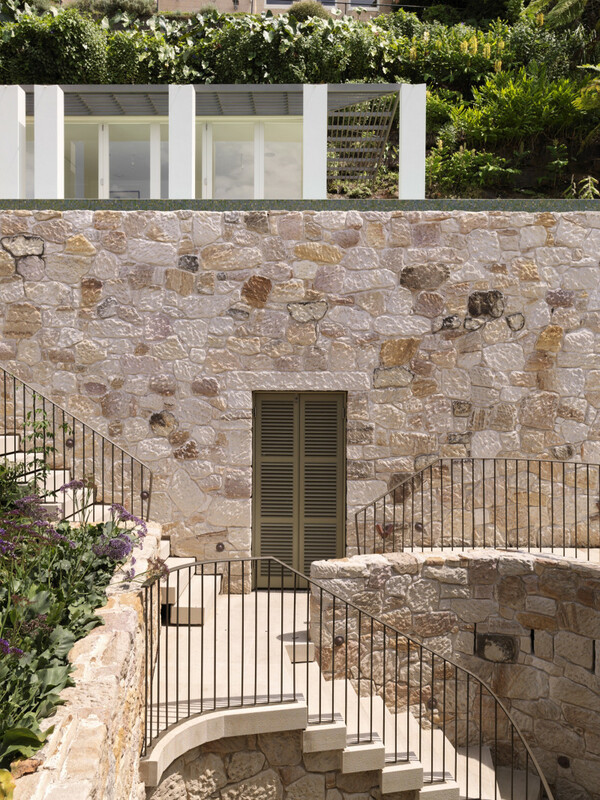 His signature stonework replicates the cliff face, which now incorporates a study and a winding stair providing access to terraces, lush rooftop gardens, a lap pool and guest pavilion. 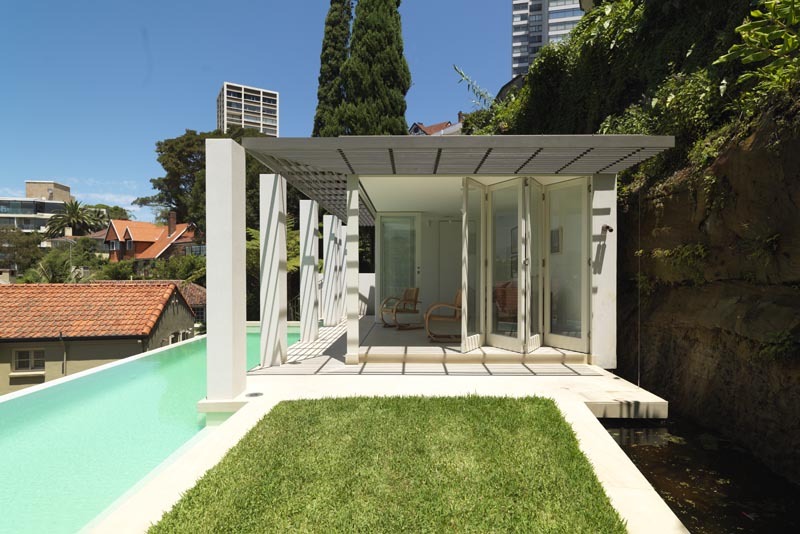 Rosselli’s design has been awarded the Australian Institute of Architects National Award for Heritage 2009; the Woollahra Conservation Award 2008 and the National Trust Energy Australia Commendation 2009. As Rosselli so beautifully elucidates “Wilkinson’s organic and fragmented house designs have attempted to reinterpret the richness of the layering of time in vernacular architecture. The new additions have attempted to adopt the same principle. 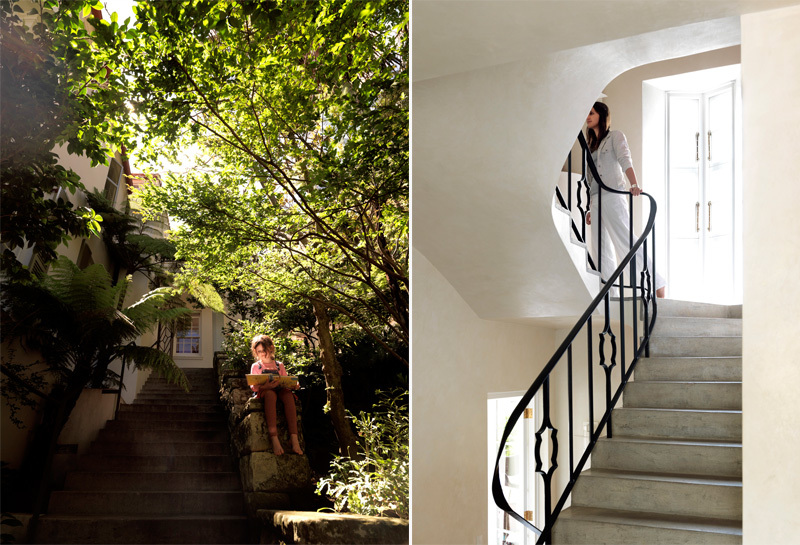 The place should now feel more like a venerable ancient village than a suburban house.” An important layer has been added, integral to the house’s evolution and heritage.